Imogen's Typewriter. : A Late Lush Christmas Haul! I'm a big fan of Christmas at Lush, although they definitely used to be more warm and cosy. Does anyone else remember Glögg shower gel and the Gingerbread house bubble bars? They were my jam! 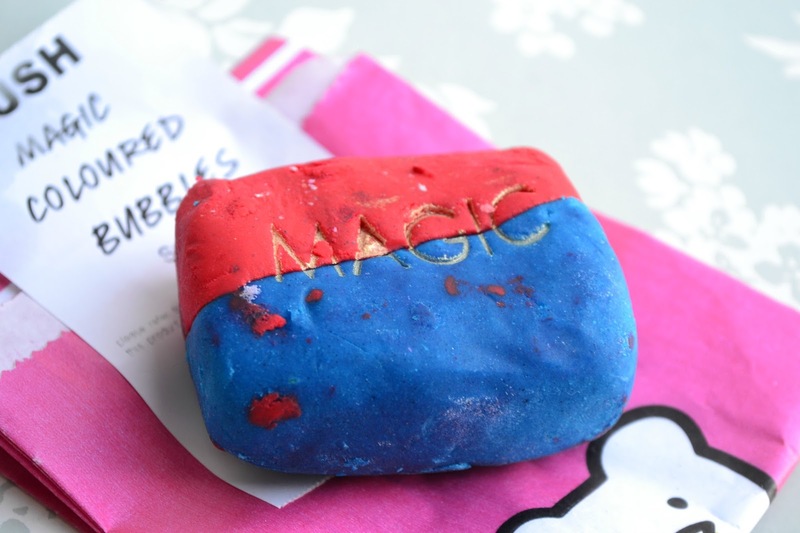 But they still make some great exclusives around this time and I love the way my room smells with them all piled up in my lil' Lush basket! 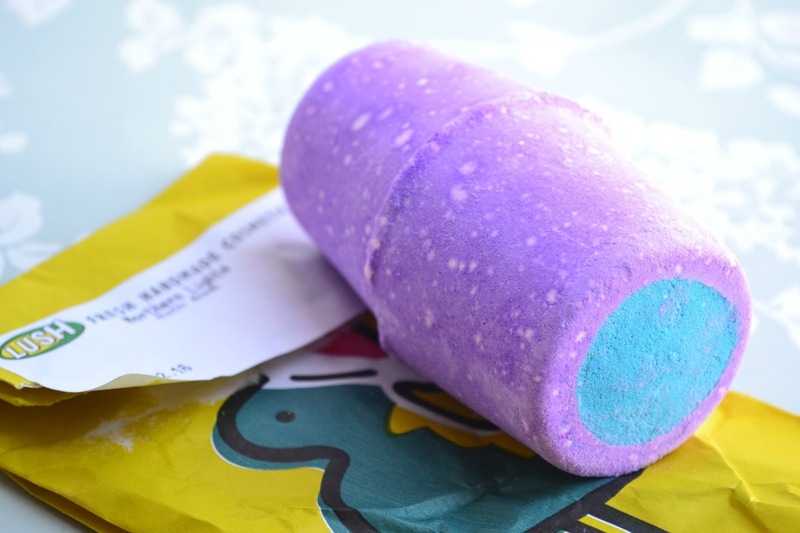 The first thing my mum picked up for me was the Northern Lights bath bomb because for the last four or five years, I've been running her a bubble bath on Christmas Eve with the Christmas Eve bubble bar. Lush discontinued it this year and this is the closest one to the scent. I think I'll be breaking this so we can both have a half tomorrow! 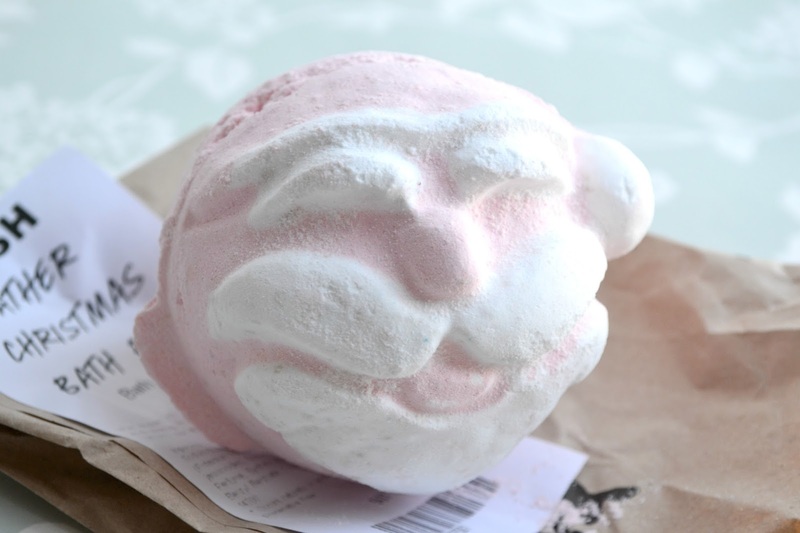 I'd never actually tried the Father Christmas Bath Bomb until this week which is strange because I sold a lot of them when I worked there and it's green inside- my favourite colour. The scent wasn't super impressive in the tub but anytime I can see green, I'm happy. 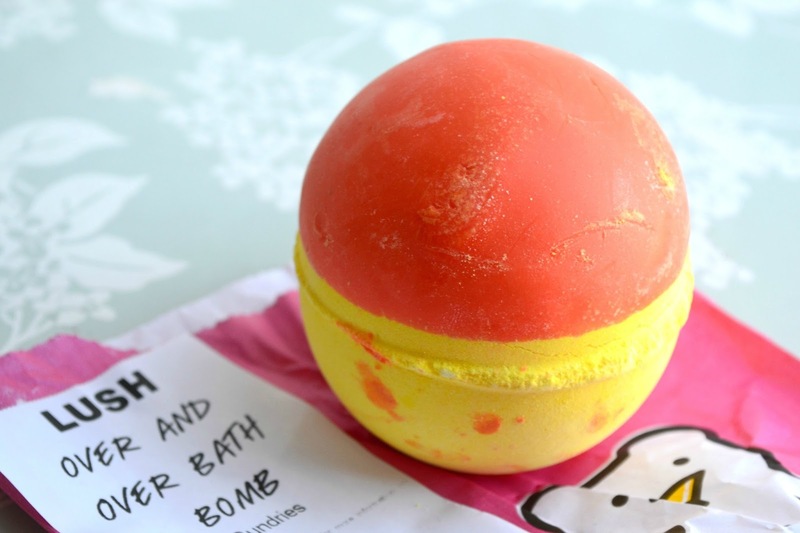 I'm obsessed with the idea of a bath bomb/ bath melt hybrid. I hope they bring more of these out in the new year because it's always nice to get a little extra hydration. It's a lot more lime-y then the orange scent that I expected but it would make the perfect wake-me-up bath for Christmas morning. 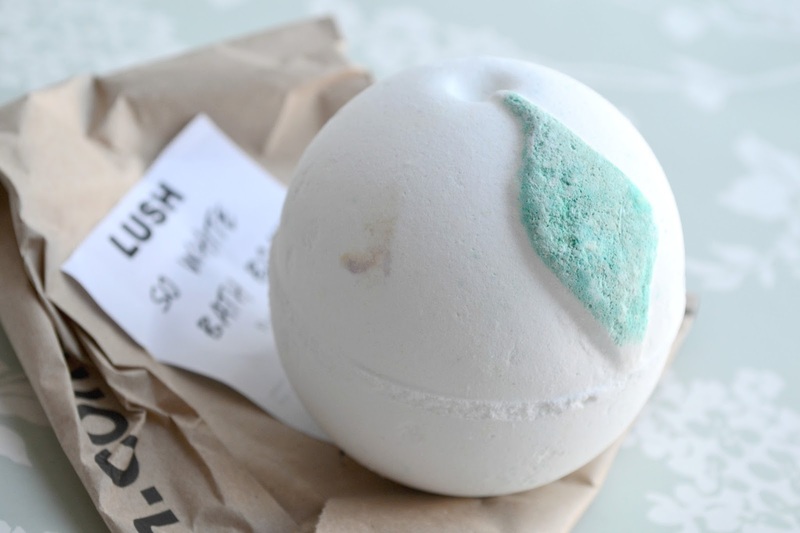 Does anyone else remember when So White was a tiny plain white bath bomb that cost £1.80 and packed a punch when it came to the apple scent? I miss those. Now they're bigger, more expensive although they do have the same kick of apple. Get it together Lush. I love the scent of apple, I'm going to keep this around for a while just to make my room smell amazing. I used Magic Coloured Bubbles in my bath tonight and while there was a lack of actual bubbles, the deepness of the colour was amazing. I used a third and I couldn't see my hand an inch under the water. The texture of this is like the fun soaps so I'm wondering if there's a special technique to bring out the bubbles, since they're so magical. 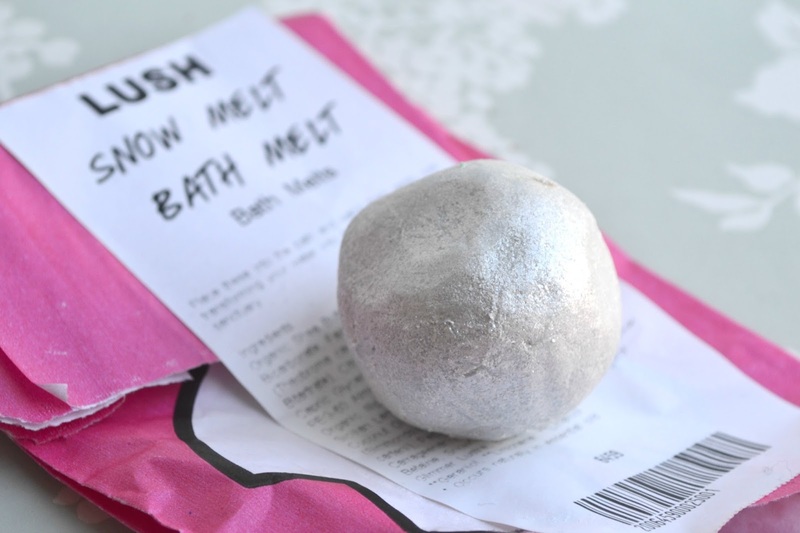 And lastly, the Snow Melt bath melt. I would've gone with calling it a snowball but whatever. I love these little bath melts that are basically concentrated goodness for your skin. Perfect for winter and all the dry air that comes with it! 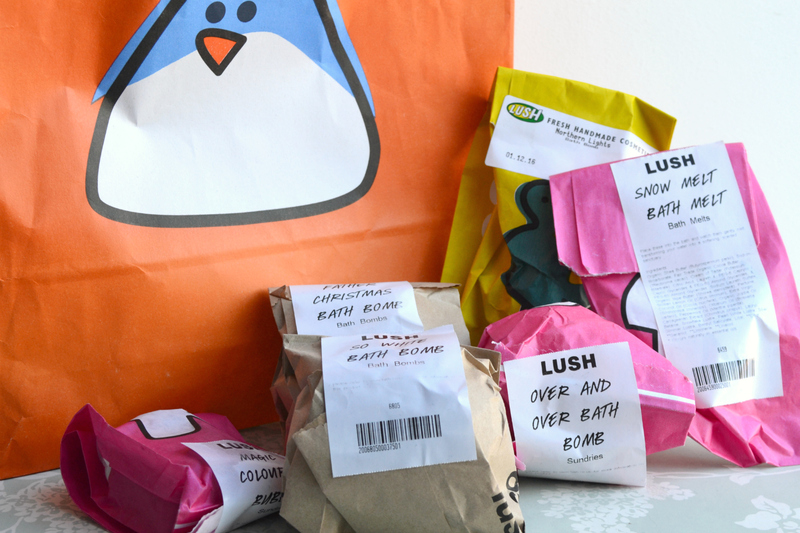 What did you pick up from the Lush Christmas collection?